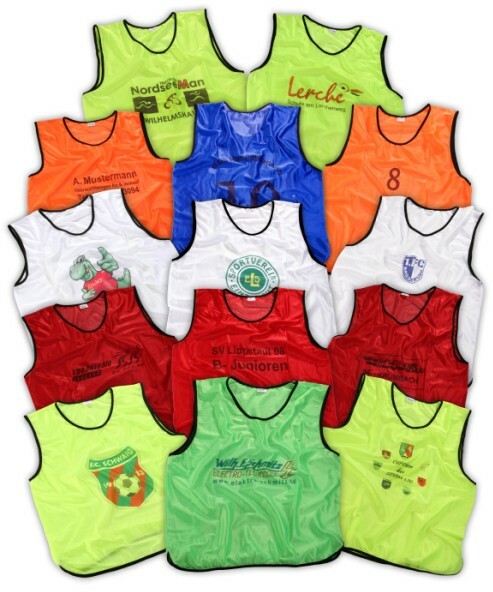 These training bibs can be custom-printed with whatever you like: company logos, team logos, numbers, names or advertising. 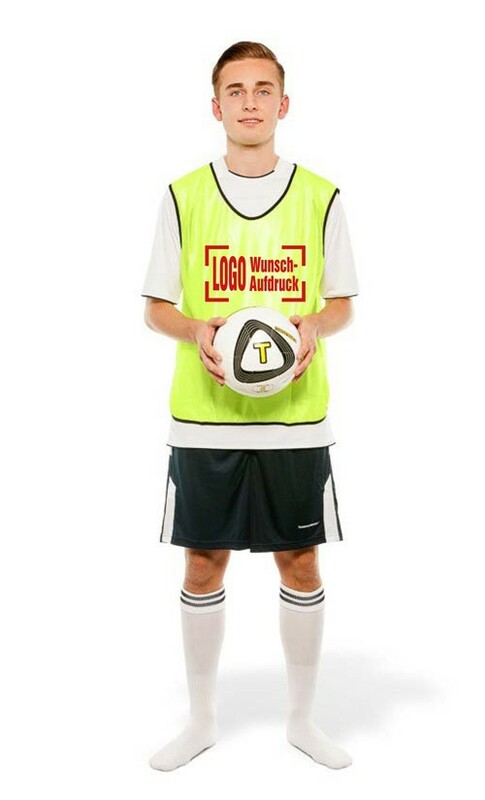 These training bibs can be custom-printed with whatever you like: company logos, team logos, numbers, names or advertising. 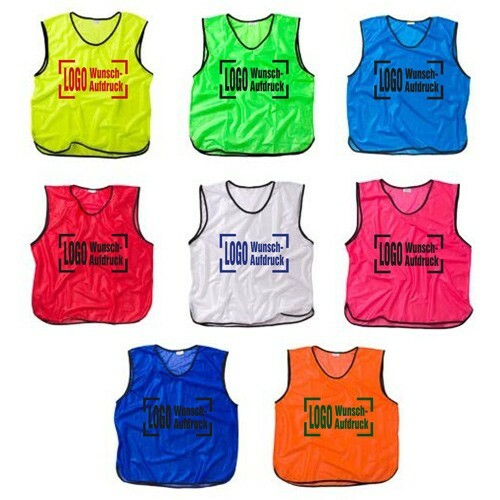 The training bibs are very well made and extremely tear-resistant (100% polyester). The fabric is highly suitable for printing images such as promotional material. 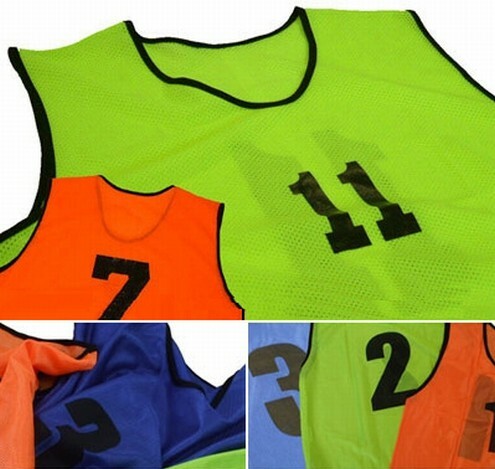 The following colours of vest can be printed: neon yellow, orange, blue, red, green, light blue, pink and white. By request, we can also print neon yellow, orange, green, light blue, pink and white training bibs in colour (not including white). All training bibs can be printed in black. Please contact our graphics department by e-mail for further information on your custom design: info@teamsportbedarf.com. Volume discounts for larger quantities and surcharges for two-sided printing and XXL training bib can be found in the table below. Our products are also worn by German professional footballers during training sessions. Order now and see the quality of these training bib for yourself!